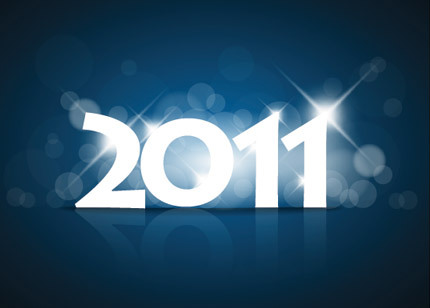 Well, 2011 is almost over. Trent and I are spending a quiet New Year's Eve at home with no plan except to watch the Big Bang Theory marathon on tv and not even try to make it to midnight. Nerd alert... We are also going to continue a NYE tradition from my childhood of eating junky cereal. I stocked up on Lucky Charms and Cinnamon Toast Crunch. Growing up, we weren't allowed to eat such evil cereal except on NYE so I'm keeping that going. :-) Oooor, I just wanted an excuse for some sugar... Anyway, how about a look back? Saw my baby sister in her Fredericksburg Theater Company debut as Charlotte in Oliver! Watched our Baylor Bears win the Alamo Bowl in San Antonio! Ok y'all, as you know, I was pretty thorough about new year's resolutions last year (which I will indeed finish updating on). I don't think I'm gonna go all out this year again. Basically I want to continue to work on those from this past year, partly because for some of them, I didn't really figure them out until the end of the year. I have a couple personal resolutions that can remain anonymous for blog purposes. But I do have one resolution this year that I want to really work on. You remember my friend Steph? Not this Steph. (I have about 5 Stephs in my life.) This one was my college roomie, maid of honor, is a fellow CPA and her life task is to remind me to eat and breathe. She gave me my superpower, which is sleeping. (Hers is showering quickly) I also eat her purple freeze pops, could do her tax return if she wanted me too, and my last name is earlier in the alphabet, which means I technically meet her criteria for marriage. She made me and Trent our story on canvas earlier this year. She toted me to NC for Rach and Matt's wedding extravaganza (I would have been helpless without her). And I lobbs her.